Eden Winters — Lambda Award Finalist! Eden Winters has been given a wonderful accolade! 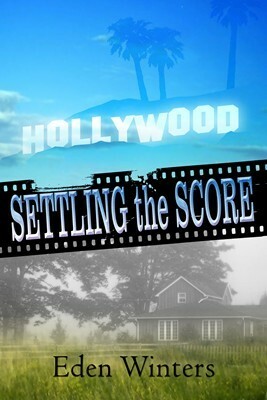 Her Settling the Score has just been announced as a Lambda Finalist in Gay Romance! For those of you who haven’t yet read the book, you have been officially notified that this is one worth the reading! Round of applause for Eden, everyone! Two more Torquere books have also been honored: Marshall Thornton’s Boystown: Three Nick Nowak Mysteries, in the mystery category, and Steam-powered: Lesbian Steampunk Stories, edited by JoSelle Vanderhooft in LGBT SF/F/H. Congratulations to our Torquere authors, and to all who have been selected as finalists; see the entire list here. Closeted mechanic Joey Nichols’ life is good. His boyfriend landed a major Hollywood role, and is well on the way to superstardom. Joey’s bags are packed and soon he’ll leave small town Georgia and join the man of his dreams in California, to live out, proud, and together. Days before his planned departure, his lover outs Joey during a televised interview and announces that they’ve broken up, leaving Joey to face the bigotry of the locals alone. Bestselling author Troy Steele knows all about having life turned upside down by the media. Now a recluse, Troy shuns all the trappings that come with writing books made into blockbuster movies. He spends his time exacting revenge on a former flame via his novels and hiding out in rural South Carolina, watching celebrity gossip shows. Joey’s fifteen minutes of fame bear an eerie similarity to the plot of Troy’s latest work in progress. What if Joey could be transformed into everything the fickle ex wanted, as Troy is writing for his fictional hero, and secretly wishes for himself? Once polished, could a diamond-in-the-rough good ole boy confront his ex, then walk away, pride intact? These are Troy’s questions, and he’s counting on Joey for answers. Find it here at Torquere, or here at Amazon, or here at ARe. I already have my copy, which I am gonna drag to New York City to get autographed, because Eden is going to be at the Rainbow Book Fair. This entry was posted in Eden and tagged Eden Winters, Lambda Award, Lambda Award Finalist, Settling the Score. Bookmark the permalink. Heart Joey. Heart Troy. Heart Eden. It’s a trifecta of love! Hee! Bet we’ll blow her hair right off her forehead with all this whooting! OMG that’s AMAZING! Way to go, Eden! I’m so pleased I don’t know what to do with myself! Can I link this on GR and stuff? Ooh, good idea! I added it to the book listing on GR but it came out funny. OMG! Thanks, ya’ll so much! I’m still totally in shock, and keeping running back to read Lambda’s congratulatory letter to ensure it came to the right person. Words cannot say how thrilled I am! Hugs! You earned this and I am so happy for you!